The team at Turn 10 Studios recently visited the Ford GT factory to get a glimpse of how their new American supercar would be made. However, before they even knew how their GT would look, they took delivery of an epic order kit for the car. In the kit is just about everything a Ford GT buyer needs to chose from when ordering their car. Molds painted in the various exterior colors are stacked, giving a perfect representation of how the finished product would look. Wheels with interchangeable brake calipers are also included, which look like they would be perfect for a high-end model car. Ford also has pads of interior materials, including the Competition and Heritage Edition palettes. 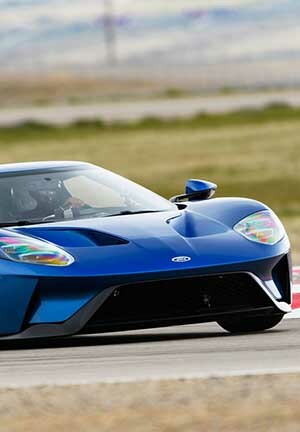 As soon as Turn 10 Studios gets their hands on their Ford GT, we’ll be sure to share it with you all.